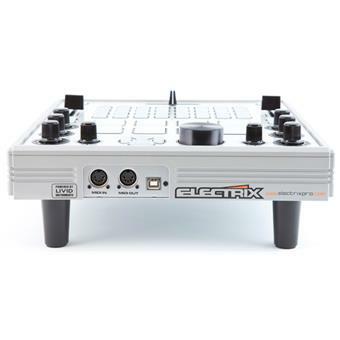 The Electrix Tweaker is a DJ-style live performance MIDI controller that works with MIDI-compatible software. 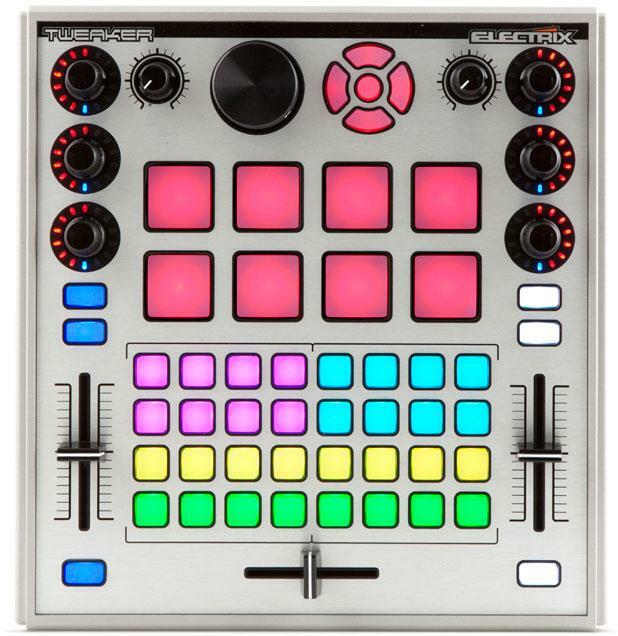 Gathering a wide variety of controls elements in a compact portable design, the control surface includes a 32-button grid, velocity sensitive pads, push encoders with LED rings, in a 2 channel DJ mixer style interface, with super bright multi color LED feedback. 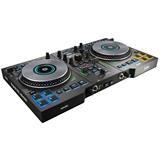 The intuitive, compact layout is well suited for the studio, the stage, and the DJ booth. 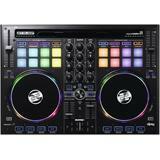 Use it as your main DJ controller or as an add-on to any setup. 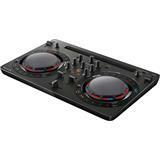 Removable legs are included to match traditional DJ gear. 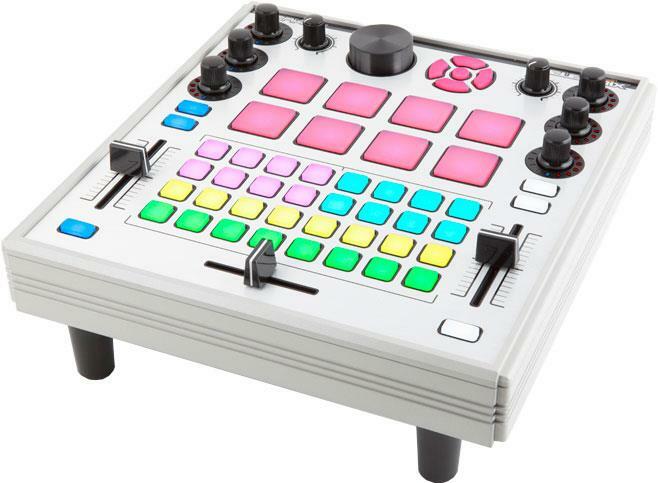 With the legs on, Tweaker is the same height as DJ turntables and mixers, making it ideal for use alongside DVS systems like Traktor Scratch and Serato Scratch Live. 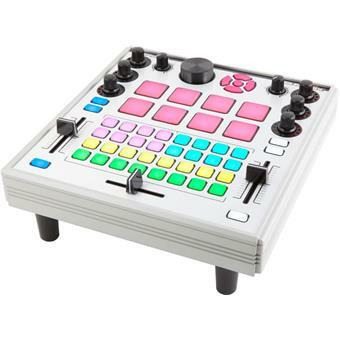 The Tweaker is fully USB powered and USB Class Compliant in both Mac OS and Windows, and does not require any MIDI drivers for either platform. An additional set MIDI I/O ports are provided to connect other devices. 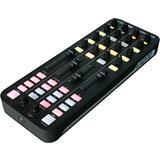 The control surface is also ideal for other MIDI compatible applicaions such as video or lighting control. 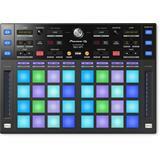 Tweaker includes Traktor LE 2 DJ software with overlay, Ableton Live Remote Script for native controller support (also with overlay included), Traktor Pro 2 and Serato Scratch Live mappings, plus the Tweaker Editor software that enables customization over Tweaker settings and preset creation for use with various MIDI applications.